I, Frankenstein is almost popcorn entertainment. Almost. It feels as if every time a movie comes out that fits this throwaway action mould, everybody hates it and I’m forgiving towards it. My rule is: as long as there’s camp and you can hold my attention, these corn fests have a chance to squeak by. Same goes with Priest. It’s no masterpiece and I don’t wish to see anymore movies in that universe, but the dystopian atmosphere mixed with the combat had me enjoying the film for what it was. It was guilty pleasure claptrap. I, Frankenstein won’t be sitting pretty with those aforementioned examples because it’s trying to pander too much to people like me. 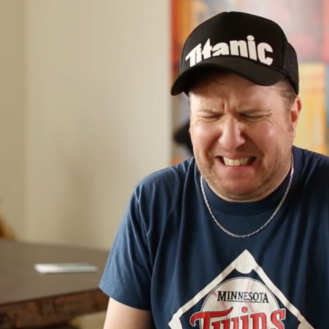 Stuart Beattie’s movie is lumbering, fake, and plain. The writer/director gives audiences everything they would expect in a movie about different forces violently going head-to-head with each other for the sake of humankind. But, the movie is missing some essentials that make this endeavour different from any other movie of this fantastical nature. I know it’s scoff worthy to mention the word “fake” in a movie describing I, Frankenstein. I’m not talking about the brawls that swoop in and out of a prominent cathedral. Those effects, as well as some other miscellaneous CGI, aren’t too bad. They at least were able to draw me in before overstaying their welcome. I’m talking about the characters’ lack of connection to the world around them. Many creatures and clashes explode into flames and ash, yet no one reacts. Even if they’re standing mere feet away from the jutting fire. You can make an argument that Adam Frankenstein (played by Aaron Eckhart) feels nothing because he’s the living reanimated creation of Dr. Frankenstein. However, the guy doesn’t even flinch when debris and skull matter scatter around his face. The post-effects may have been created well, but Beattie has done a poor job directing anyone about what these effects actually are. The genre mashing of this traditional horror story with a yarn about demon-hunting heavenly gargoyles can’t find a groove where both of these levels find a way to sync up. It may have had a smoother sail in Kevin Grevioux’s graphic novel, but this hybrid (co-written by Grevioux to no avail) is nothing but jarring and indecisive when acted out. Eckhart shows conviction to the material with this turn as a leading hero, but Beattie has made Frankenstein’s monster into a being that is too fluent and too easily comprehensible. The mystique to Eckhart’s character should be his gradual learning curve about immoralities and purity in this realm. His uncertainty is what makes his scary. Granted, after a flash forward, the story starts with the monster having learned importance already – 200 years to be exact. But, Beattie’s opportunity to show Adam as a nimble but primitive being is not carried out as well as it could’ve been. If the film was given more time to develop in a longer format, I, Frankenstein could’ve made this plausible. I demand a director’s cut DVD, dammit! With the exception of a charismatically smirky villain played by an autopiloted Bill Nighy, no one else is given any memorable qualities to their characters. The protagonists are cookie cutter gladiators with wings, the antagonists look nasty and drooly, and the flustering humans have nothing do to but read off movie filler. 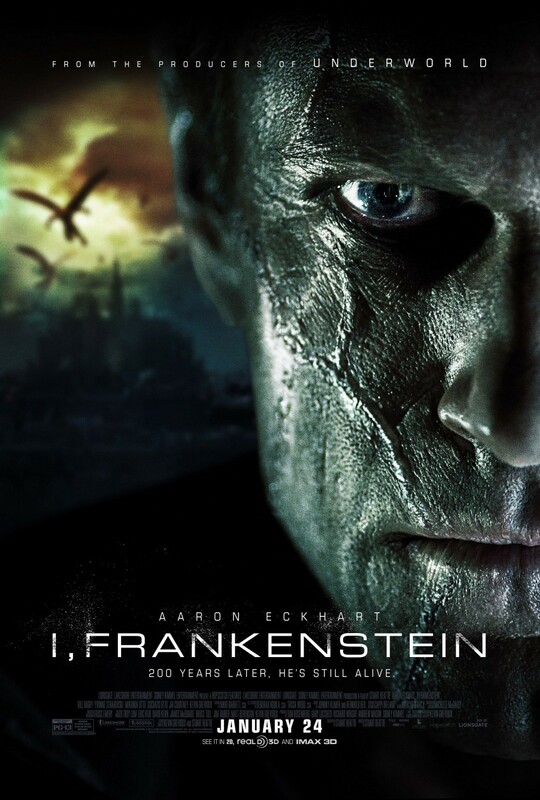 Just before the hour mark, I, Frankenstein promises to deliver more underwhelm. Each battle scene starts to look the same, only more crowded. The gnarly prosthetics start to show phoniness, each expository exchange is more dull than the one before, and that urge for everything to wrap up gets stronger. Worse of all is that there’s no camp value, unfortunately. This could’ve taken the 300 route for home viewing. It could’ve been a movie that gets thrown on in the background at a party that occasionally stops a conversation to make nearby partiers watch a good fight. However with I, Frankenstein, people will be fighting the sensation to doze off.